For business gift giving, what better time to say "Thank You" than the Thanksgiving Holiday. This gift basket also makes a great hostess gift. It's an appropriate and memorable corporate holiday gift ... perfect for clients, associates, employees, or even friends and family. A fabulous array of treats. It's a delicious and thoughtful way to express your appreciation. The perfect way to also say "Thinking of You!" 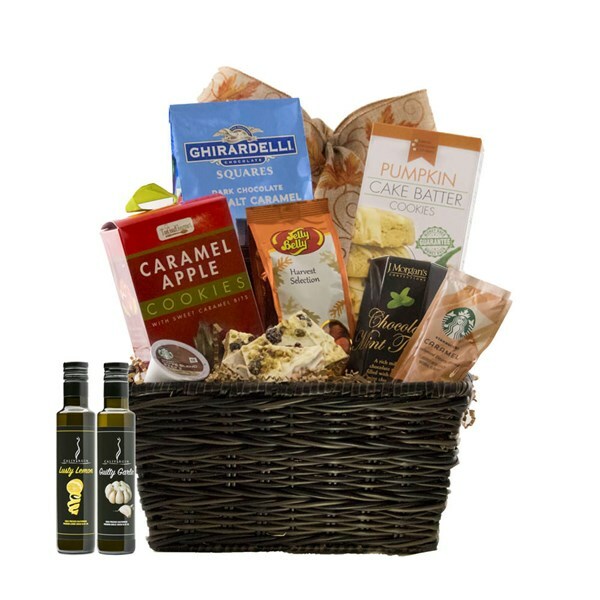 The Autumn Harvest Gift Basket is the perfect way to brighten someone's day by saying "Thank You" with business associates, family and friends.